In Tokyo Tech's CubeSat projects, Amateur radio band are used for communication between the satellite and the ground station. Cute-1.7+APD II also uses two uplinklines, 144MHz band and 1200MHz band, and two 430MHz downlink lines. 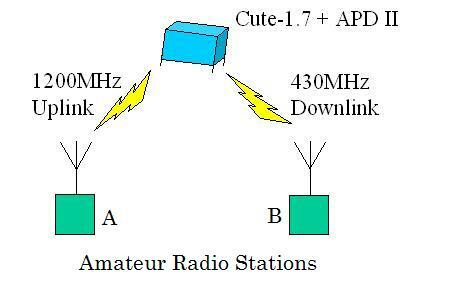 We recognize that these amateur bands are widely opened to amateur radio operators all over the world, in order to accomplish the following amateur radio operations. Not for the purpose of pecuniary gain. 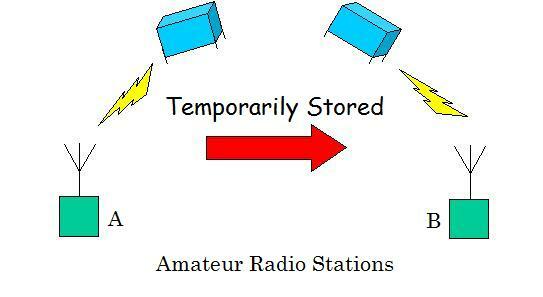 For those who are interested in radio technique. To achieve the technical research of communication. In Cute-1.7 + APD II, we provide the following services using 1200MHz uplink and 430MHz downlink, on a trial basis. 1267.6MHz high-speed packet communication (GMSK-9600bps) is used for uplink. 437.475MHz high-speed packet communication(GMSK-9600bps) is used for downlink. SRLL version2.0 is usable for message bos service, as well as AX.25. Information about SRLL2.0 is mentioned below. These service missions will be achieved in the normal operation phase. We will notify the information about this service by updating website. Following equipments are nesesarry for this service. In addition the following equipment would be helpful. Please use the following numers for communication circuit design. We estimate that the antenna gain should exceed the constant value, depending on the communication distance, in order to achieve a steady communication by 10W transmission. For example, transmission antenna gain should exceed 10dBi to communicate 1000km far, and 18dBi to communicate 2500Km. This is a real-time communication by using the satellite as a relay. The following figure shows the concept of this service. This service uses functions in AX.25. Please assign the satellite's call sign JQ1YTC as VIA in AX.25 when uplink by 1267.6MHz GMSK, and the satellite will relay all the flames. The downlink will be achieved by 437.475MHz GMSK. The satellite has a message box inside of its PDA, and we will throw is open to amateur radio operators. The following figure shows the concept of this service. In order to register a message or send a command, please send satellite a UI flame in which you assign the satellite's call sign as a destination. Or please send by SRLL protocol. The command list is as follows. requestID	：Specify the massage number, and downlink the massage. requestmycall	：Downlink the massage which was destined to the call sign of the command sender. removeID	：Specify the massage number, and delete it. multicast	：Downlink the massages sequencially which are saved in the box. countmsg	：Return the number of saved massage. timeplease	：Return the satellite time. In Cute-1.7+APD II, we communicate by SRLL version2.0 as well as AX.25. SRLL version2.0 has some modifications from SRLL version1.0, shown as follows. Selectable three kinds of packet length, 32bytes, 64bytes, 96bytes. Copyright ©, Tokyo Institute of Technology, All Rights Reserved.